For some people, the desire to create feels inevitable. For Morton Traylor, that need was as essential as breathing. Those who knew him say that Traylor worked incessantly. And though it’s obvious he was prolific, to what degree it isn’t likely that we’ll ever know, as much of his work lies buried amid layers of painting. 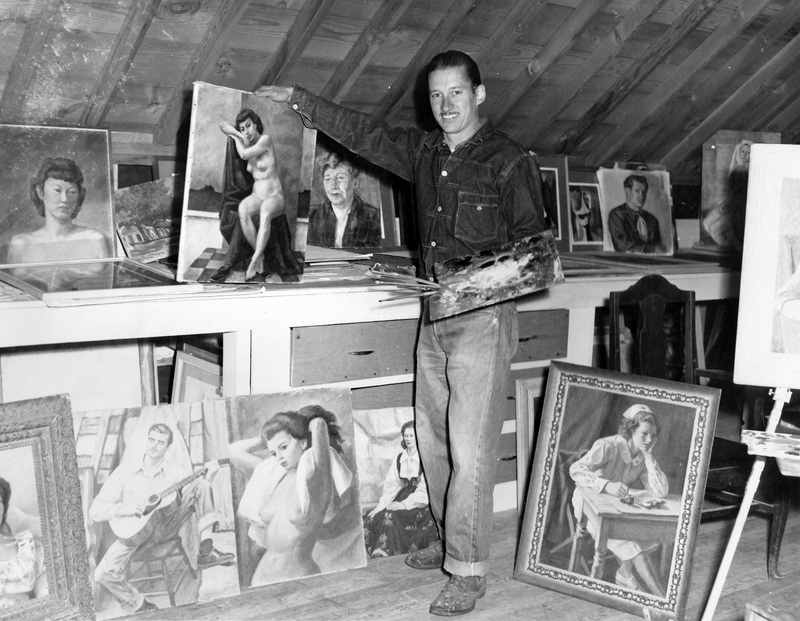 Traylor held his collections privately and close at hand, where he added new iterations atop finished paintings throughout his years. Together, they lived and evolved. Traylor’s efforts were fueled by a belief in relentless observation and repetition, which he summed up with the following: “One does not paint a painting. One discovers a painting.” In some cases, those discoveries took years—or even decades—per subject. There was no depth or length of study too exhaustive for his approach. In order to portray the human body, for instance, he spent years studying anatomy and could tell you precisely which anatomical elements defined the look and shape of a neck, face, cheek or hand. Those who observed him say that his paintings often began with immaculate detail, which slowly gave way—layer by layer—to a style he referred to as “contemporary, philosophical art.” He was a student of many genres, including futurism, spatial sequencing and expressionism, and often utilized an effect known as spatial depletion, which blends numerous objects together, to depict the philosophical notion that we all occupy the same spaces, separated only by time. © 2017 MortonTraylor.com, All Rights Reserved.